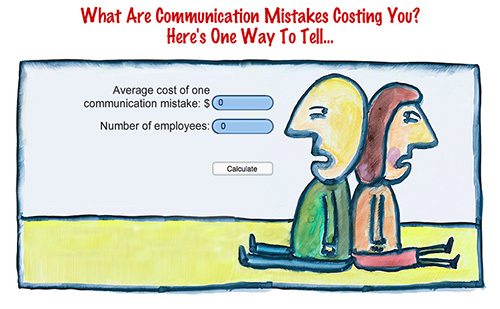 The cost of poor communication is daunting. Does your team know the real impact? Find out with our mis-communication calculator and use this tool to encourage the improvement of listening skills on the team.